Does your family do anything to celebrate Chinese New Year? If you haven’t before, I’ve got a couple of really easy ways to add some fun tastes and decorations to your day. Chinese New Year 2019 is on February 5th. This year is the year of the Pig, and there are lots of resources online for what the different animal years mean and how the holiday is celebrated. You don’t have to be an amazing cook or party planner to make it a fun dinner. I simply purchased some Ling Ling Chicken & Vegetable Potstickers and made some easy decorations. This can serve as your appetizer to your favorite take out, or if you’re more adventurous than I, cook up some other Chinese dishes. 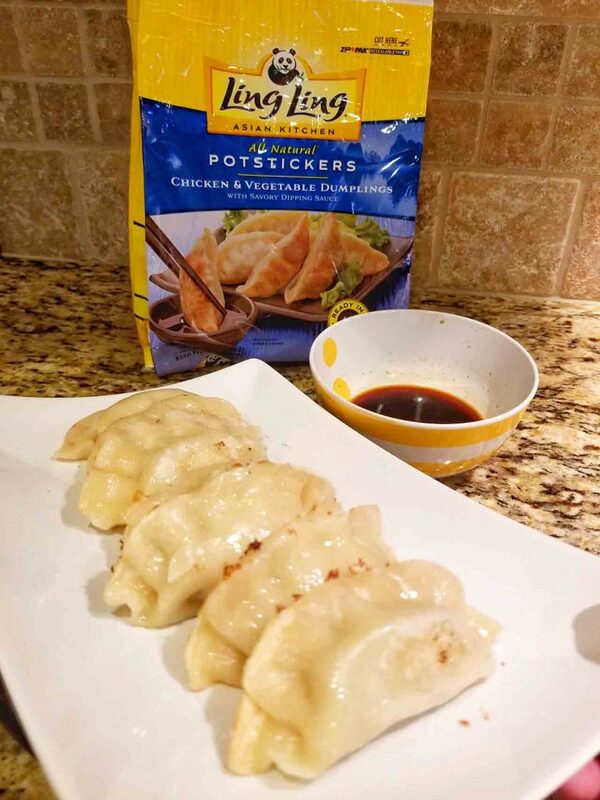 I found the potstickers in the frozen dinner section of my grocery store and they were very easy to prepare at home. The bag even includes sauce packets! I filled a bowl with hot water and set the sauce packets inside to warm up. 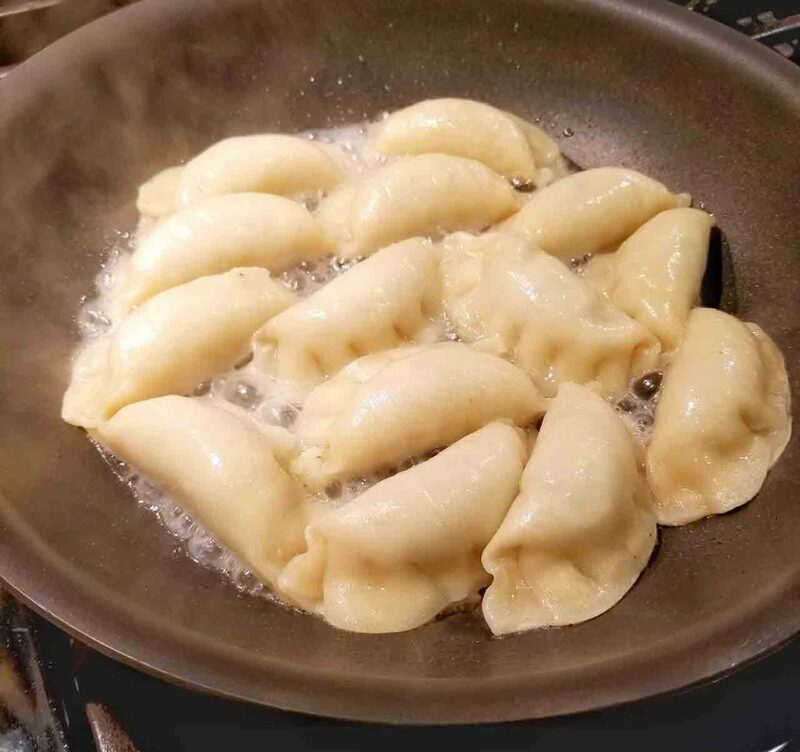 I put a bit of oil in a heated skillet, placed the potstickers flat side down on the pan and then added 2/3 cup water. I covered the pan and let them cook for 8 minutes. Then I removed the pan and let the rest of the water cook off, browning the bottom side of the potstickers. The potstickers shouldn’t be moved around while cooking so you can kind of “set it and forget it” and work on something else in the kitchen if you need to. When the potstickers were finished cooking, we plated them up and poured the sauce into dipping bowls. My husband works from home, so I made these for lunch for just the two of us. 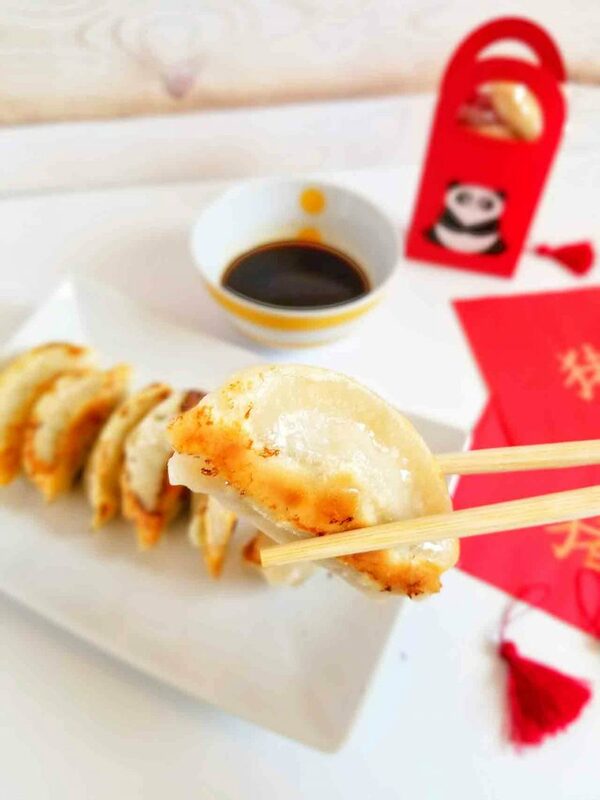 Ling Ling Potstickers are bursting with authentic Asian flavor and always use high quality vegetables and proteins. Other flavors include Pork & Vegetable, and Vegetable. We decided even our picky kids would probably be excited enough to try them, especially with some fun extras out on the table. I also made small gift bags with adorable pandas on them. 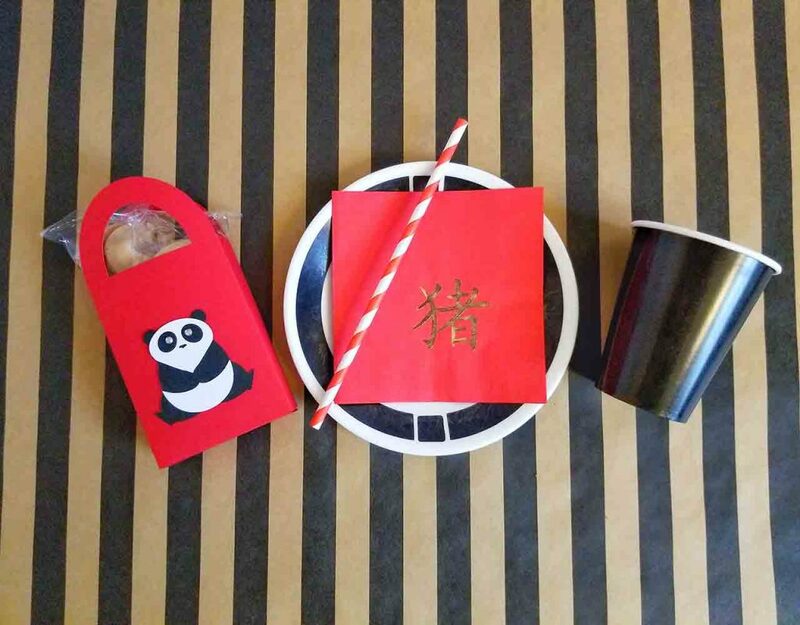 Click here to learn how to make panda gift bags. They each hold a few fortune cookies. Cute, right? 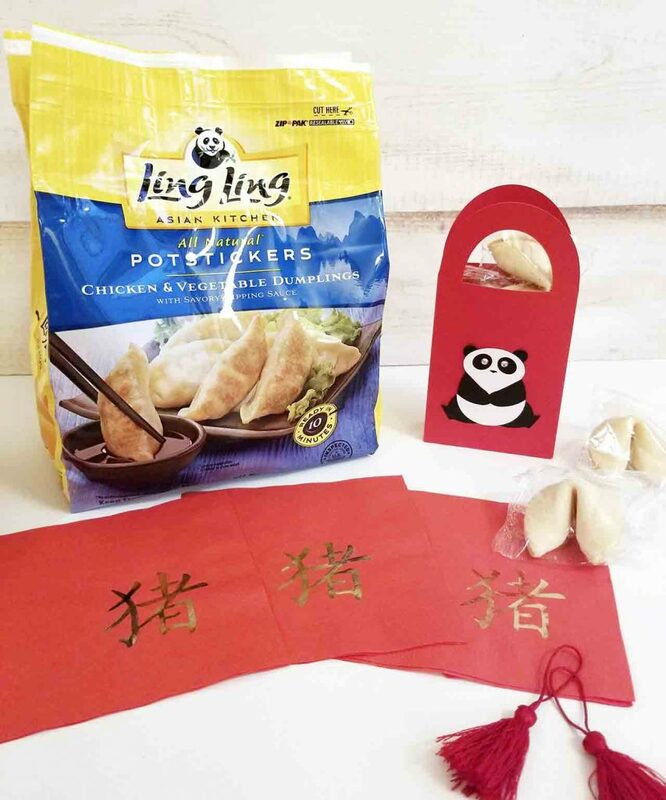 I hope you’ll add some of these craft ideas, and Ling Ling potstickers to your plans for Chinese New Year.